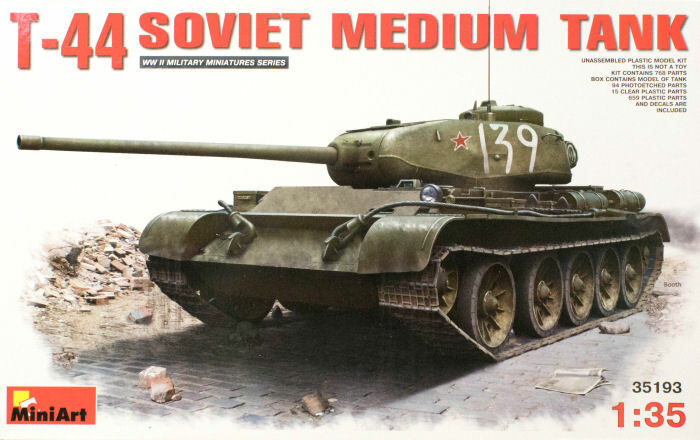 During the Great Patriotic War, Soviet planners started development of a new medium tank to replace the T-34 in service. This new tank would feature better armor protection and introduce the 85mm gun with better performance than the 76mm gun arming the T-34. By the time the T-44 was being readied for trials, the T-34 had already been up-gunned with the 85mm cannon and despite some of the other improvements featured in the T-44, emphasis was put on sustaining the high rate of production of the T-34/85. The T-44 continued through trials including testing of a 122mm main gun but problems plagued the prototypes. These were finally resolved and the 85mm armed T-44A entered production with 2000 examples being produced but did not see combat. As the design was further improved, evaluations began of the 100mm gun and while tests were conducted as the T-44B. While new capabilities were incorporated into the design, the T-44B was cancelled and these capabilities were rolled over into the T-54. This is a nice looking kit and is not over-engineered. 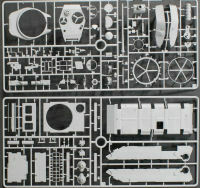 Those 768 parts build up a full interior and engine compartment in addition to the exterior and track. We've seen kits from other manufacturers build up similar-sized vehicles with more parts with no interiors at all. I also salute the snap-together one-piece track links so you won't be spending a week building up track.